On every fruit and vegetable stall at any of the street markets in the area, you will find acelgas (chard) being sold in big bunches – usually for one euro or less. 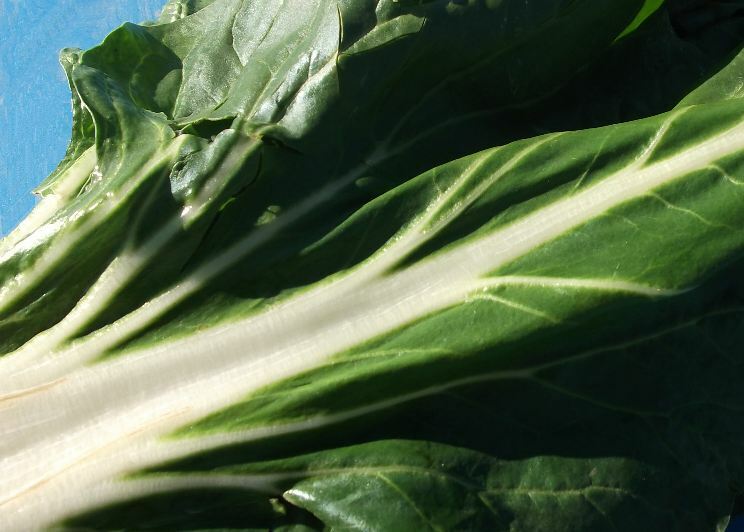 Whilst it´s not a vegetable to eat raw, acelgas is easy to cook and packed with nutritional goodness as it is an excellent source of fibre, vitamins A, C and K, iron, potassium, magnesium and manganese. Wash the leaves and fold each in half to help you when you cut away the stem and centre ribs. Chop the stems and sauté in butter for about 5 minutes until they begin to soften. 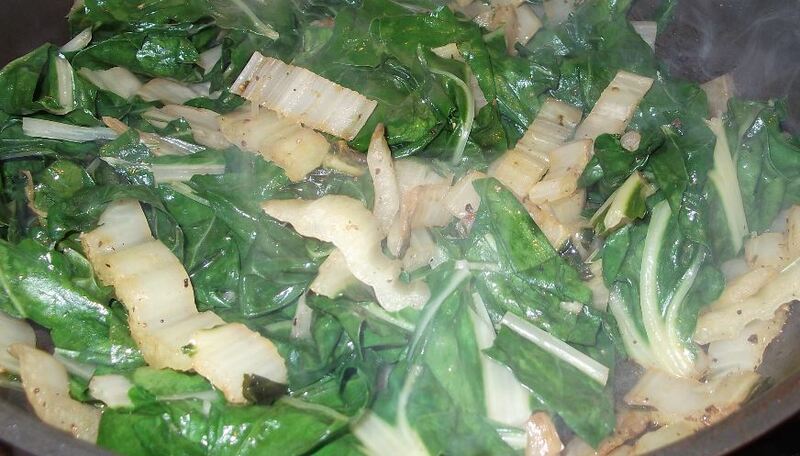 Stir in the chopped green leaves until they begin to wilt – which only takes a couple of minutes. Just before serving, mix in a little freshly-squeezed lemon juice, a tablespoon of grated Parmesan cheese and season to taste. This entry was tagged acelgas, chard, recipes. Bookmark the permalink.